Only receiving its reveal last week at GDC 2019, Vampire: The Masquerade – Bloodlines 2 has gotten some more details in terms of story progress. In terms of a day/night cycle, we just didn’t want to get into it. We didn’t feel like there was enough benefit to actually supporting it. You’re always there at night, you can’t do anything in the day. We do have ways to push you through the story. You can go to sleep…and sometimes things will happen while you’re sleeping. Other times, you’ll need to sleep, vampires need rest too. …Bloodlines 2 is a game about players making their own choices, imagining their own backstory, and taking their own path. 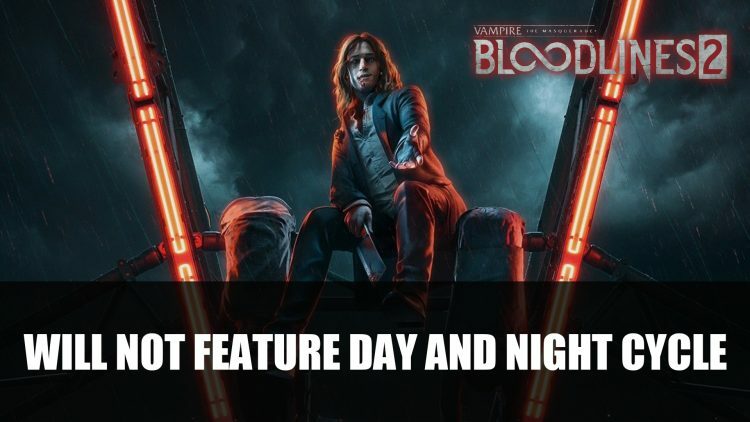 If you want to know more about this action RPG you can learn more about the title and not miss out on the pre-orders in Vampire: The Masquerade – Bloodlines 2 Announced For 2020. If you want more vampire action you can check out our Vampyr Review – Taking A Bite Out Of The RPG Genre. I don’t see why it would, the original didn’t have it and they gain nothing by adding it. I do like the sound of them making the passage of time more a thing, and the things happening while you sleep sounds interesting. I’m looking forward to hearing more about this game.